UPDATED on 5/30/16 to reflect accurate information – the term “orange wine” was created by UK Wine Merchant David Harvey in 2004, which was purposefully created and others saw fit to use the term since that time. Mr. Harvey thank you for bringing this to my attention. Yup, we have officially ran out of everyday drinking wines. There was one point in time that I had 300 plus bottles of wine in the cellar. 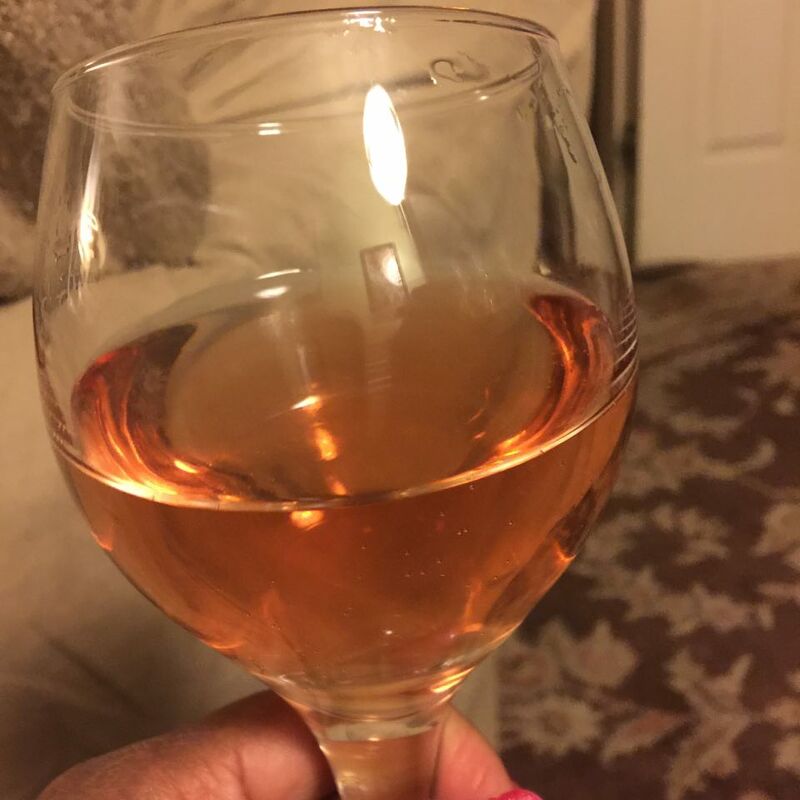 Smiling, I recall the wonderful memories that has diminished my wine collection such as, girls day out relaxing by the pool, surprising a friend, private wine tasting parties or welcoming a new family to the neighborhood. Great Wine = Great Times! I say this to explain asking my husband to select a bottle of wine is like digging for gold in a mine. “They’re too damn good, man!” he yells from downstairs. LOL (he becomes so frustrated when selecting a bottle a wine). Trying to contain my laughter, from upstairs, I return the howl, “Babe, just select a 2002 or 2003 Chrysalis Lockley Reserve (a Norton), we have to drink the wine someday.” Guess what he selected, not the Norton; a 2012 Chateau O’Brien Tannat. Alarming I said, “Oh no, I’m laying this beauty down.” he responds, “This is why I do not like going down there” :). On a mission, I am determined to find a bottle of wine that will not cause us distress. (I find myself chuckling because subconsciously, I thought, “Goodness, when are you going to get to the topic of this blog.) It is bad when your subconscious feels you are talking too much. Okay, let’s speed this up. I choose a 2014 Chrysalis Vineyards Tximeleta (pronounced, chee-may-LAY-tah). For those of you who know my husband, he prefers red wine and will drink a Guinness before having a glass of white wine. Tximeleta is a rose, so it is a good middle ground. I hand him a shimmering rose with orange highlights. What a classy wine! Intrigued, we sniff: fruity aromas; sip: mmm… a quick butter flavor graces my lips with sweet tarts skating along my palate; yes, skate. The wine is soft, smooth and glides across my palate. We both give Tximeleta a nod of approval. I dissect the Tximeleta further; the color is more orange than rose. I wonder what is Tximeleta? Is Norton giving the wine its orange highlights, but it’s not in Norton’s characteristic to produce orange hues. I then wonder is this “Orange Wine?” What is Orange Wine? Time to hit the World Wide Web. Hunting for facts to conduct my own research and not utilize information from another blog, I stumbled upon orangefestival.eu. Apparently, Slovenia (I like that they enhanced the “love” in the country’s name) is holding an “Orange Wine” festival. Now, I’m really fascinated about “orange wine”. Slovenia is nestled between Austria, Croatia, Italy, and Hungary. PODRAVSKA produces Slovania’s most prestigious wines. Wines in this area date back to pre-historic times. PRIMORSKA, the most developed out of the regions. Slovenia wines date back to the era of the Celts and Illyrian tribes. Seventy-five percent of Slovenia wines are white wine. There are approximately 6,000 recorded varieties and the majority of wines are consumed domestically. I’m laughing at myself because I refuse to accept the research I found on orange wine. I was determined to discover an ancient wine-making process that only European wine-makers were aware of; NOPE! And orange wine does not contain orange peel. It’s simply a lengthen maceration with grape skins, which is the same process to produce red wine AND THAT’S ALL FOLKS! The term “orange wine”, which is also referred to as “amber wine” was created by UK Wine Merchant David Harvey in 2004. Orange wine is made by fermenting the juice of ripe white grapes with their skins for a long period of time. Depending upon the maceration period, which could be a week to a year, the wine will posses an amber-gold-pink-orange color. The tannins levels in orange wine are typically higher than in white wine. Due to the color, there are Italian winemakers who feel there should be a wine category for “orange (amber) wine.” When customers order a white wine and the color is orange they become apprehensive. Many wines produced in the country of Georgia (make sure you don’t think I’m talking about the state :)) are macerated. So folks, there you go, Chrysalis refers to Tximeleta as a “rose”. But based on the wine’s color, I’m calling Tximeleta an orange wine ;).